Had my Gender Scan today and the staff were so lovely and it was such a lovely experience! Definitely going to recommend to every pregnant woman I come across. The heartbeat bear is also a lovely touch that I will treasure forever! Brilliant service. Staff are welcoming and friendly couldn’t of asked for anymore! Thank you window to the womb. And we are so happy to be having a baby girl come March next year! Available as an extra to any 4D scan. 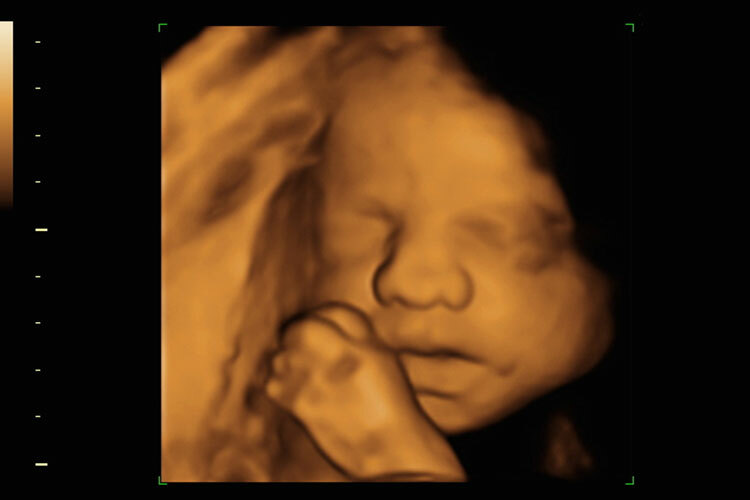 HDlive provides the clearest view of your baby in the womb.You can add this upgrade on your appointment day. 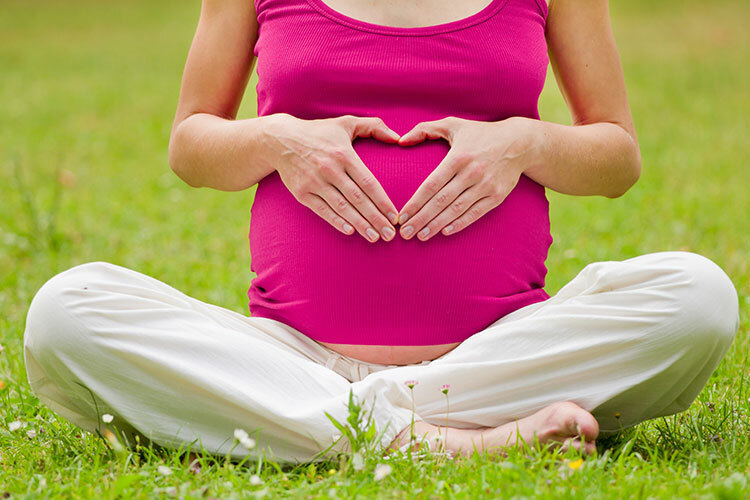 Window to the Womb Darlington specialise in providing providing pregnancy scans for all trimesters of pregnancy. Starting from Gender Scans at 16 weeks, right through to Growth & Presentation Scans at 42 weeks. All of our scans start with a Well-Being Check ; our fully qualified & registered sonographers will check baby’s movement, heartbeat, position and placental position. Each package is tailored to suit each expecting mum and their family, so whether you’d like a scan to check baby’s measurements, to see baby in a 4D scan and you want to walk away with prints, digital movies & images, heartbeat bears and more, Window To The Womb are here for every part of your pregnancy, to create memories that you, and your family, can cherish forever! Window to the Womb Darlington are the leading baby scan Clinic in the area to offer expectant parents the opportunity to meet baby in the very latest technology which will give you a truly amazing view into your baby’s protected world.We are delighted to be able to offer our unique ultrasound baby scanning services to mums-to-be and their families from Darlington, Teesside, Stockton on Tees, Hartlepool and many more. Our Darlington baby scan Clinic has loads of room for you to bring friends,family and children with you to share this wonderful experience with,So bring up to 10 people with you. The Window to the Womb Darlington team look forward to welcoming you, your family and of course your bump to our Darlington baby scan Clinic and having the privilege of introducing you all to your baby. The ladies at Window to the Womb Darlington look forward to welcoming you into our scan clinic. The Darlington team thrive on providing you with the ultimate baby bonding experience and it is a magical moment for us to share your experience with you. Our team are there to provide you with all the help and support you need and to answer any of your questions. The scanning equipment used by Window to the Womb Darlington is state-of-the-art scanning equipment in the GE Voluson 730 Expert. Ultrasound technology has been researched extensively in hundreds of clinical studies over the past 30 years and has not been shown to cause any harm to either mother or baby with routine scanning now a normal procedure in all pregnancies. In 3D/4D scanning, exactly the same type and intensity of ultrasound is used as with conventional 2D scanning. 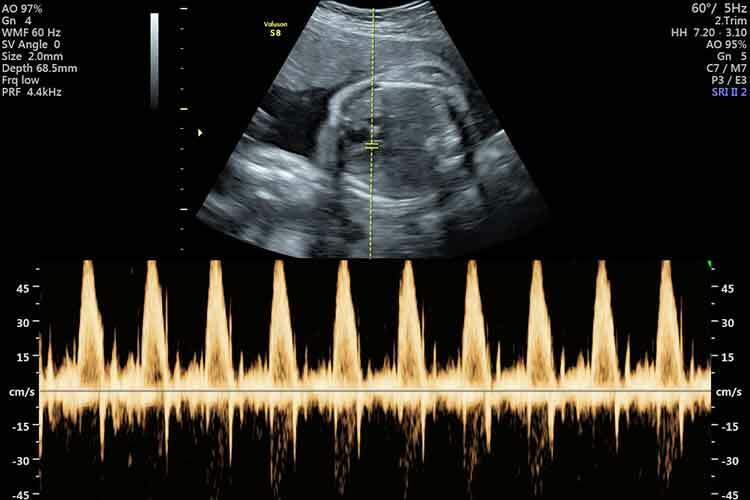 3D and 4D ultrasound both utilise sound waves to look inside the body. A probe placed on the body emits sound waves into the body, listens for the return echo and generates an image. 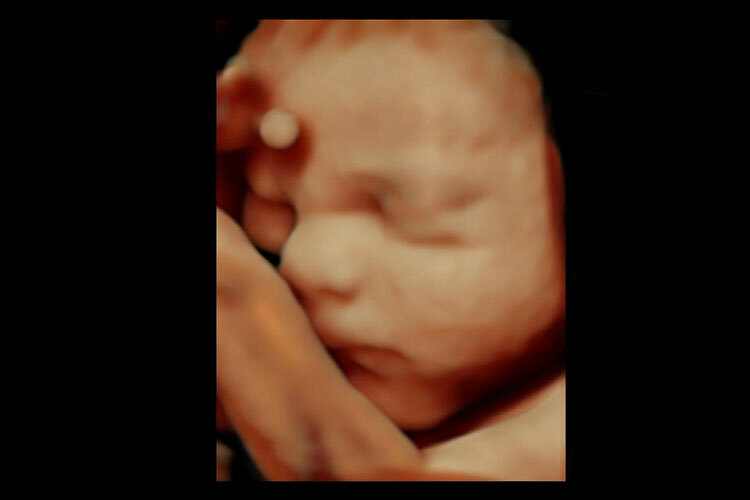 4D ultrasound will be similar therefore to a conventional scan in terms of exposure. This is likely the same machine that the NHS will use in your 12 week dating and 20 week anomoly scans. When choosing a baby bonding clinic to book your scan with, we suggest that you request information on what equipment they have in clinic, as we believe that the specialist and fixed Voluson S8 offers a far superior quality of images than a mobile laptop and doppler, that is typically carried from one location to the next. 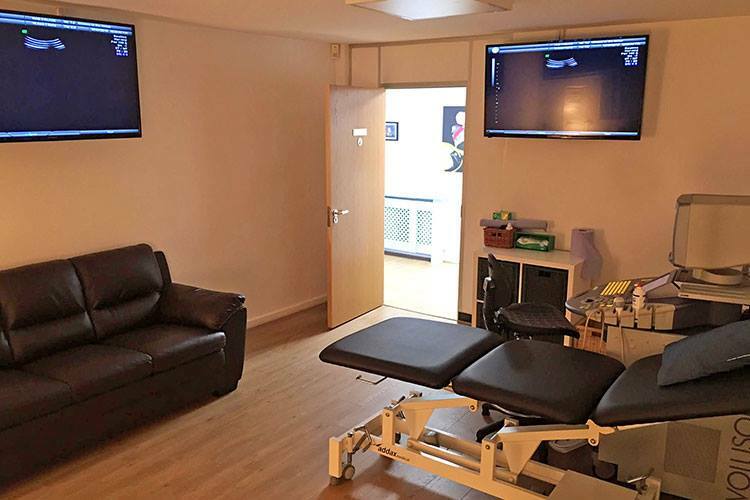 To make sure that mum and up to 5 guests have the very best experience, Window to the Womb baby scan clinic in Darlington features 3 50″screens. This means that everybody can enjoy meeting baby in his/her protected little world. Our Darlington clinic provides service to: Sexing scan Tanfield, Gender scan Tanfield, 16 week scan Tanfield, 3D scan Tanfield, 4D scan Tanfield, 3D baby scan Tanfield, 4D baby scan Tanfield. Baby ultrasound scan Tanfield, Baby scan Tanfield, Pregnancy scan Tanfield, Ultrasound Tanfield, Sexing scan Durham, Gender scan Durham, 16 week scan Durham, 3D scan Durham, 4D scan Durham, 3D baby scan Durham, 4D baby scan Durham, Baby ultrasound scan Durham, Baby scan Durham, Pregnancy scan Durham, Ultrasound Durham, Sexing scan Barnard Castle, Gender scan Barnard Castle, 16 week scan Barnard Castle, 3D scan Barnard Castle, 4D scan Barnard Castle, 3D baby scan Barnard Castle, 4D baby scan Barnard Castle, Baby ultrasound scan Barnard Castle, Baby scan Barnard Castle, Pregnancy scan Barnard Castle, Ultrasound Barnard Castle, Sexing scan Willington, Gender scan Willington, 16 week scan Willington, 3D scan Willington, 4D scan Willington, 3D baby scan Willington, 4D baby scan Willington, Baby ultrasound scan Willington, Baby scan Willington, Pregnancy scan Willington, Ultrasound Willington, Sexing scan Pity Me, Gender scan Pity Me, 16 week scan Pity Me, 3D scan Pity Me, 4D scan Pity Me, 3D baby scan Pity Me, 4D baby scan Pity Me, Baby ultrasound scan Pity Me, Baby scan Pity Me, Pregnancy scan Pity Me, Ultrasound Pity Me, Sexing scan Hartlepool, Gender scan Hartlepool, 16 week scan Hartlepool, 3D scan Hartlepool, 4D scan Hartlepool, 3D baby scan Hartlepool, 4D baby scan Hartlepool, Baby ultrasound scan Hartlepool, Baby scan Hartlepool, Pregnancy scan Hartlepool, Ultrasound Hartlepool, Sexing scan Stockton-on-Tees, Gender scan Stockton-on-Tees, 16 week scan Stockton-on-Tees, 3D scan Stockton-on-Tees, 4D scan Stockton-on-Tees, 3D baby scan Stockton-on-Tees, 4D baby scan Stockton-on-Tees, Baby ultrasound scan Stockton-on-Tees, Baby scan Stockton-on-Tees, Pregnancy scan Stockton-on-Tees, Ultrasound Stockton-on-Tees, Sexing scan Bishop Auckland, Gender scan Bishop Auckland, 16 week scan Bishop Auckland, 3D scan Bishop Auckland, 4D scan Bishop Auckland, 3D baby scan Bishop Auckland, 4D baby scan Bishop Auckland, Baby ultrasound scan Bishop Auckland, Baby scan Bishop Auckland, Pregnancy scan Bishop Auckland, Ultrasound Bishop Auckland, Sexing scan Seaham, gender scan Seaham, 16 week scan Seaham, 3D scan Seaham, 4D scan Seaham, 3D baby scan Seaham, 4D baby scan Seaham, Baby ultrasound scan Seaham, Baby scan Seaham, Pregnancy scan Seaham, Ultrasound Seaham, Sexing scan Sedgefield, Gender scan Sedgefield, 16 week scan Sedgefield, 3D scan Sedgefield, 4D scan Sedgefield, 3D baby scan Sedgefield, 4D baby scan Sedgefield, 3D baby scan Sedgefield, 4D baby scan Sedgefield, Pregnancy scan Sedgefield, Ultrasound Sedgefield, Sexing scan Peterlee, Gender scan Peterlee, 16 week scan Peterlee, 3D scan Peterlee, 4D scan Peterlee, 3D baby scan Peterlee, 4D baby scan Peterlee, Baby ultrasound scan Peterlee, Baby scan Peterlee, Pregnancy scan Peterlee, Ultrasound Peterlee, Sexing scan Annfield Plain, Gender scan Annfield Plain, 16 week scan Annfield Plain, 3D scan Annfield Plain, 4D scan Annfield Plain, 3D baby scan Annfield Plain, 4D baby scan Annfield Plain, Baby ultrasound scan Annfield Plain, Baby scan Annfield Plain, Pregnancy scan Annfield Plain, Ultrasound Annfield Plain, Sexing scan Easington, Gender scan Easington, 16 week scan Easington, 3D scan Easington, 4D scan Easington, 3D baby scan Easington, 4D baby scan Easington, Baby ultrasound scan Easington, Baby scan Easington, Pregnancy scan Easington, Ultrasound Easington, Sexing scan Consett, Gender scan Consett, 16 week scan Consett, 3D scan Consett, 4D scan Consett, 3D baby scan Consett, 4D baby scan Consett, Baby ultrasound scan Consett, Baby scan Consett, Pregnancy scan Consett, Ultrasound Consett, Sexing scan Newton Aycliffe, Gender scan Newton Aycliffe, 16 week scan Newton Aycliffe, 3D scan Newton Aycliffe, 4D scan Newton Aycliffe, 3D baby scan Newton Aycliffe, 4D baby scan Newton Aycliffe, Baby ultrasound scan Newton Aycliffe, Baby scan Newton Aycliffe, Pregnancy scan Newton Aycliffe, Ultrasound Newton Aycliffe, Sexing scan Catchgate, Gender scan Catchgate, 16 week scan Catchgate, 3D scan Catchgate, 4D scan Catchgate, 3D baby scan Catchgate, 4D baby scan Catchgate, Baby ultrasound scan Catchgate, Baby scan Catchgate, Pregnancy scan Catchgate, Ultrasound Catchgate, Sexing scan Norton, Gender scan Norton, 16 week scan Norton, 3D scan Norton, 4D scan Norton, 3D baby scan Norton, 4D baby scan Norton, Baby ultrasound scan Norton, Baby scan Norton, Pregnancy scan Norton, Ultrasound Norton, Sexing scan Spennymoor, Gender scan Spennymoor, 16 week scan Spennymoor, 3D scan Spennymoor, 4D scan Spennymoor, 3D baby scan Spennymoor, 4D baby scan Spennymoor, Baby ultrasound scan Spennymoor, Baby scan Spennymoor, Pregnancy scan Spennymoor, Ultrasound Spennymoor, Sexing scan Stanley, Gender scan Stanley, 16 week scan Stanley, 3D scan Stanley, 4D scan Stanley, 3D baby scan Stanley, 4D baby scan Stanley, Baby ultrasound scan Stanley, Baby scan Stanley, Pregnancy scan Stanley, Ultrasound Stanley, Sexing scan Ferryhill, Gender scan Ferryhill, 16 week scan Ferryhill, 3D scan Ferryhill, 4D scan Ferryhill, 3D baby scan Ferryhill, 4d baby scan Ferryhill, Baby ultrasound scan Ferryhill, Sexing scan Gainford, Gender scan Gainford, 16 week scan Gainford, 3D scan Gainford, 4D scan Gainford, 3D baby scan Gainford, 4D baby scan Gainford, Baby ultrasound scan Gainford, Baby scan Gainford, Pregnancy scan Gainford, Ultrasound Gainford, Sexing scan Billingham, Gender scan Billingham, 16 week scan Billingham, 3D scan Billingham, 4D scan Billingham, 3D baby scan Billingham, 4D baby scan Billingham, Baby ultrasound Billingham, Baby scan Billingham, Pregnancy scan Billingham, Ultrasound Billingham, Sexing scan Eaglescliffe, Gender scan Billingham, 16 week scan Billingham, 3D scan Billingham, 4D scan Billingham, 3D baby scan Billingham, 4D baby scan Billingham, Baby ultrasound scan Billingham, Baby scan Billingham, Pregnancy scan Billingham, Ultrasound Billingham, Sexing scan Ushaw College, Gender scan Ushaw College, 16 week scan Ushaw College, 3D scan Ushaw College, 4D scan Ushaw College, 3D baby scan Ushaw College, 4D baby scan Ushaw College, Baby ultrasound scan Ushaw College, Baby scan Ushaw College, Pregnancy scan Ushaw College, Ultrasound Ushaw College, Sexing scan Lambton Castle, Gender scan Lambton Castle, 16 week scan Lambton Castle, 3D scan Lambton Castle, 4D scan Lambton Castle, 3D baby scan Lambton Castle, 4D baby scan Lambton Castle, Baby ultrasound scan Lambton Castle, Baby scan Lambton Castle, Pregnancy scan Lambton Castle, Ultrasound Lambton Castle, Sexing scan Burnhope, Gender scan Burnhope, 16 week scan Burnhope, 3D scan Burnhope, 4D scan Burnhope, 3D baby scan Burnhope, 4D baby scan Burnhope, Baby ultrasound scan Burnhope, Baby scan Burnhope, Pregnancy scan Burnhope, Ultrasound Burnhope, Sexing Scan No Place, Gender scan No Place, 16 week scan No Place, 3D scan No Place, 4D scan No Place, 3D baby scan No Place, 4D baby scan No Place, Baby ultrasound scan No Place, Baby scan No Place, Pregnancy scan No Place, Ultrasound No Place, Sexing Scan Shotley Bridge, Gender scan Shotley Bridge, 16 week san Shotley Bridge, 3D scan Shotley Bridge, 4D scan Shotley Bridge, 3D baby scan Shotley Bridge, 4D baby scan Shotley Bridge, Baby ultrasound scan Shotley Bridge, Baby scan Shotley Bridge, Pregnancy scan Shotley Bridge, Ultrasound Shotley Bridge, Sexing scan Preston Hall, Gender scan Preston Hall, 16 week scan Preston Hall, 3D scan Preston Hall, 4D scan Preston Hall, 3D baby scan Preston Hall, 4D baby scan Preston Hall, Baby ultrasound scan Preston Hall, Baby scan Preston Hall, Pregnancy scan Preston Hall, Ultrasound Preston Hall, Sexing scan Sacriston, Gender scan Sacriston, 16 week scan Sacriston, 3D scan Sacriston, 4D scan Sacriston, 3D baby scan Sacriston, 4D baby scan Sacriston, Baby ultrasound scan Sacriston, Baby scan Sacriston, Pregnancy scan Sacriston, Ultrasound Sacriston, Sexing scan Cassop, Gender scan Cassop, 16 week scan Cassop, 3D scan Cassop, 4D scan Cassop, 3D baby scan Cassop, 4D baby scan Cassop, Baby ultrasound scan Cassop, baby scan Cassop, Pregnancy scan Cassop, Ultrasound Cassop, Sexing scan Durham Tees Valley Airport, Gender scan Durham Tees Valley Airport, 16 week scan Durham Tees Valley Airport, 3D scan Durham Tees Valley Airport, 4D scan Durham Tees Valley Airport, 3D baby scan Durham Tees Valley Airport, 4D baby scan Durham Tees Valley Airport, Baby ultrasound scan Durham Tees Valley Airport, Baby scan Durham Tees Valley Airport, Pregnancy scan Durham Tees Valley Airport, Ultrasound Durham Tees Valley Airport, Sexing scan White-le-Head, Gender scan White-le-Head, 16 week scan White-le-Head, 3D scan White-le-Head, 4D scan White-le-Head, 3D baby scan White-le-Head, 4D baby scan White-le-Head, Baby ultrasound scan White-le-Head, Baby scan White-le-Head, Pregnancy scan White-le-Head, Ultrasound White-le-Head, Sexing scan Tanfield Lea, Gender scan Tanfield Lea, 16 week scan Tanfield Lea, 3D scan Tanfield Lea, 4D scan Tanfield Lea, 3D baby scan Tanfield Lea, 4D baby scan Tanfield Lea, Baby ultrasound scan Tanfield Lea, Baby scan Tanfield Lea, Pregnancy scan Tanfield Lea, Ultrasound Tanfield Lea, Sexing scan Quaking Houses, Gender scan Quaking Houses, 16 week scan Quaking Houses, 3D scan Quaking Houses, 4D scan Quaking Houses, 3D baby scan Quaking Houses, 4D baby scan Quaking Houses, Baby ultrasound scan Quaking Houses, Baby scan Quaking Houses, Pregnancy scan Quaking Houses, Ultrasound Quaking Houses, Sexing scan South Moor, Gender scan South Moor, 16 week scan South Moor, 3D scan South Moor, 4D scan South Moor, 3D baby scan South Moor, 4D baby scan South Moor, Baby ultrasound scan South Moor, Baby scan South Moor, Pregnancy scan South Moor, Ultrasound South Moor, Sexing scan Oxhill, Gender scan Oxhill, 16 week scan Oxhill, 3D scan Oxhill, 4D scan Oxhill, 3D baby scan Oxhill, 4D baby scan Oxhill, Baby ultrasound scan Oxhill, Baby scan Oxhill, Pregnancy scan Oxhill, Ultrasound Oxhill, Sexing scan Preston-on-Tees, Gender scan Preston-on-Tees, 16 week scan Preston-on-Tees, 3D scan Preston-on-Tees, 4D scan Preston-on-Tees, 3D baby scan Preston-on-Tees, 4D baby scan Preston-on-Tees, Baby ultrasound scan Preston-on-Tees, Baby scan Preston-on-Tees, Pregnancy scan Preston-on-Tees, Ultrasound Preston-on-Tees, Sexing scan Lumley Castle, Gender scan Lumley Castle, 16 week scan Lumley Castle, 3D scan Lumley Castle, 4D scan Lumley Castle, 3D baby scan Lumley Castle, 4D baby scan Lumley Castle, Baby ultrasound scan Lumley Castle, Baby scan Lumley Castle, Pregnancy scan Lumley Castle, Ultrasound Lumley Castle, Sexing scan East Kyo, Gender scan East Kyo, 16 week scan East Kyo, 3D scan East Kyo, 4D scan East Kyo, 3D baby scan East Kyo, 4D baby scan East Kyo, Baby ultrasound scan East Kyo, Baby scan East Kyo, Pregnancy scan East Kyo, Ultrasound East Kyo, Sexing scan Holwick, Gender scan Holwick, 16 week scan Holwick, 3D scan Holwick, 4D scan Holwick, 3D baby scan Holwick, 4D baby scan Holwick, Baby ultrasound scan Holwick, Baby scan Holwick, Pregnancy scan Holwick, Ultrasound Holwick, Sexing scan Preston Park, Gender scan Preston Park, 16 week scan Preston Park, 3D scan Preston Park, 4D scan Preston Park, 3D baby scan Preston Park, 4D baby scan Preston Park, Baby ultrasound scan Preston Park, Baby scan Preston Park, Pregnancy scan Preston Park, Ultrasound Preston Park, Sexing scan Tudhoe, Gender scan Tudhoe, 16 week scan Tudhoe, 3D scan Tudhoe, 4D scan Tudhoe, 3D baby scan Tudhoe, 4D baby scan Tudhoe, Baby ultrasound scan Tudhoe, Baby scan Tudhoe, Pregnancy scan Tudhoe, Ultrasound Tudhoe, Sexing scan Crook, Gender scan Crook, 16 week scan Crook, 3D scan Crook, 4D scan Crook, 3D baby scan Crook, 4D baby scan Crook, Baby ultrasound scan Crook, Baby scan Crook, Pregnancy scan Crook, Ultrasound Crook, Sexing Scan Auckland Castle, Gender scan Auckland Castle, 16 week scan Auckland Castle, 3D scan Auckland Castle, 4D scan Auckland Castle, 3D baby scan Auckland Castle, 4D baby scan Auckland Castle, Baby ultrasound scan Auckland Castle, Baby scan Auckland Castle, Pregnancy scan Auckland Castle, Ultrasound Auckland Castle, Sexing scan Aislaby, Gender scan Aislaby, 16 week scan Aislaby, 3D scan Aislaby, 4D scan Aislaby, 3D baby scan Aislaby, 4D baby scan Aislaby, Baby ultrasound scan Aislaby, Baby scan Aislaby, Pregnancy scan Aislaby, Ultrasound Aislaby, Sexing scan Quebec, Gender scan Quebec, 16 week scan Quebec, 3D scan Quebec, 4D scan Quebec, 3D baby scan Quebec, 4D baby scan Quebec, Baby ultrasound scan Quebec, Baby scan Quebec, Pregnancy scan Quebec, Ultrasound Quebec, Sexing Scan Butterknowle, Gender scan Butterknowle, 16 week scan Butterknowle, 3D scan Butterknowle, 4D scan Butterknowle, 3D baby scan Butterknowle, 4D baby scan Butterknowle, Baby ultrasound scan Butterknowle, Baby scan Butterknowle, Pregnancy scan Butterknowle, Ultrasound Butterknowle, Sexing scan Satley, Gender scan Satley, 16 week scan Satley, 3D scan Satley, 4D scan Satley, 3D baby scan Satley, 4D baby scan Satley, Baby ultrasound scan Satley, Baby scan Satley, Pregnancy scan Satley, Ultrasound Satley, Sexing Scan Thorpe Larches, Gender scan Thorpe Larches, 16 week scan Thorpe Larches, 3D scan Thorpe Larches, 4D scan Thorpe Larches, 3D baby scan Thorpe Larches, 4D baby scan Thorpe Larches, Baby ultrasound scan Thorpe Larches, Baby scan Thorpe Larches, Pregnancy scan Thorpe Larches, Ultrasound Thorpe Larches, Sexing scan Cleatlam, Gender scan Cleatlam, 16 week scan Cleatlam, 3D scan Cleatlam, 4D scan Cleatlam, 3D baby scan Cleatlam, 4D baby scan Cleatlam, Baby ultrasound scan Cleatlam, Baby scan Cleatlam, Pregnancy scan Cleatlam, Ultrasound Cleatlam, Sexing scan Middridge, Gender scan Middridge, 16 week scan Middridge, 3D scan Middridge, 4D scan Middridge, 3D baby scan Middridge, 4D baby scan Middridge, Baby ultrasound scan Middridge, Baby scan Middridge, Pregnancy scan Middridge, Ultrasound Middridge, Sexing scan Woodland, Gender scan Woodland, 16 week scan Woodland, 3D scan Woodland, 4D scan Woodland, 3D baby scan Woodland, 4D baby scan Woodland, Baby ultrasound scan Woodland, Baby scan Woodland, Pregnancy scan Woodland, Ultrasound Woodland, Sexing scan Allensford, Gender scan Allensford, 16 week scan Allensford, 3D scan Allensford, 4D scan Allensford, 3D baby scan Allensford, 4D baby scan Allensford, Baby ultrasound scan Allensford, Baby scan Allensford, Pregnancy scan Allensford, Ultrasound Allensford, Sexing scan Archdeacon Newton, Gender scan Archdeacon Newton, 16 week scan Archdeacon Newton, 3D scan Archdeacon Newton, 4D scan Archdeacon Newton, 3D baby scan Archdeacon Newton, 4D baby scan Archdeacon Newton, Baby ultrasound scan Archdeacon Newton, Baby scan Archdeacon Newton, Pregnancy scan Archdeacon Newton, Ultrasound Archdeacon Newton, Sexing scan Aukside, Gender scan Aukside, 16 week scan Aukside, 3D scan Aukside, 4D scan Aukside, 3D baby scan Aukside, 4D baby scan Aukside, Baby ultrasound scan Aukside, Baby scan Aukside, Pregnancy scan Aukside, Ultrasound Aukside, Sexing scan Aycliffe Village, Gender scan Aycliffe Village, 16 week scan Aycliffe Village, 3D scan Aycliffe Village, 4D scan Aycliffe Village, 3D baby scan Aycliffe Village, 4D baby scan Aycliffe Village, Baby ultrasound scan Aycliffe Village, Baby scan Aycliffe Village, Pregnancy scan Aycliffe Village, Ultrasound Aycliffe Village, Sexing scan Barmpton, Gender scan Barmpton, 16 week scan Barmpton, 3D scan Barmpton, 4D scan Barmpton, 3D baby scan Barmpton, 4D baby scan Barmpton, Baby ultrasound scan Barmpton, Baby scan Barmpton, Pregnancy scan Barmpton, Ultrasound Barmpton, Sexing scan Barningham, Gender scan Barningham, 16 week scan Barningham, 3D scan Barningham, 4D scan Barningham, 3D baby scan Barningham, 4D baby scan Barningham, Baby ultrasound scan Barningham, Baby scan Barningham, Pregnancy scan Barningham, Ultrasound Barningham, Sexing scan Bowes, Gender scan Bowes, 16 week scan Bowes, 3D scan Bowes, 4D scan Bowes, 3D baby scan Bowes, 4D baby scan Bowes, Baby ultrasound scan Bowes, Baby scan Bowes, Pregnancy scan Bowes, Ultrasound Bowes, Sexing scan Cotherstone, Gender scan Cotherstone, 16 week scan Cotherstone, 3D scan Cotherstone, 4D scan Cotherstone, 3D baby scan Cotherstone, 4D baby scan Cotherstone, Baby ultrasound scan Cotherstone, Baby scan Cotherstone, Pregnancy scan Cotherstone, Ultrasound Cotherstone, Sexing scan Bowbank, Gender scan Bowbank, 16 week scan Bowbank, 3D scan Bowbank, 4D scan Bowbank, 3D baby scan Bowbank, 4D baby scan Bowbank, Baby ultrasound scan Bowbank, Baby scan Bowbank, Pregnancy scan Bowbank, Ultrasound Bowbank, Sexing scan Grassholme, Gender scan Grassholme, 16 week scan Grassholme, 3D scan Grassholme, 4D scan Grassholme, 3D baby scan Grassholme, 4D baby scan Grassholme, Baby ultrasound scan Grassholme, Baby scan Grassholme, Pregnancy scan Grassholme, Ultrasound Grassholme, Sexing scan Greta Bridge, Gender scan Greta Bridge, 16 week scan Greta Bridge, 3D scan Greta Bridge, 4D scan Greta Bridge, 3D baby scan Greta Bridge, 4D baby scan Greta Bridge, Baby ultrasound scan Greta Bridge, Baby scan Greta Bridge, Pregnancy scan Greta Bridge, Ultrasound Greta Bridge, Sexing scan Boldron, Gender scan Boldron, 16 week scan Boldron, 3D scan Boldron, 4D scan Boldron, 3D baby scan Boldron, 4D baby scan Boldron, Baby ultrasound scan Boldron, Baby scan Boldron, Pregnancy scan Boldron, Ultrasound Boldron, Sexing scan Gilmonby, Gender scan Gilmonby, 16 week scan Gilmonby, 3D scan Gilmonby, 4D scan Gilmonby, 3D baby scan Gilmonby, 4D baby scan Gilmonby, Baby ultrasound scan Gilmonby, Baby scan Gilmonby, Pregnancy scan Gilmonby, Ultrasound Gilmonby. Sexing scan Hutton Magna, Gender scan Hutton Magna, 16 week scan Hutton Magna, 3D scan Hutton Magna, 4D scan Hutton Magna, 3D baby scan Hutton Magna, 4D baby scan Hutton Magna, Baby ultrasound scan Hutton Magna, Baby scan Hutton Magna, Pregnancy scan Hutton Magna, Ultrasound Hutton Magna, Sexing scan Brignall, Gender scan Brignall, 16 week scan Brignall, 3D scan Brignall, 4D scan Brignall, 3D baby scan Brignall, 4D baby scan Brignall, Baby ultrasound scan Brignall, Baby scan Brignall, Pregnancy scan Brignall, Ultrasound Brignall, Sexing scan Hury, Gender scan Hury, 16 week scan Hury, 3D scan Hury, 4D scan Hury, 3D baby scan Hury, 4D baby scan Hury, Baby ultrasound scan Hury, Baby scan Hury, Pregnancy scan Hury, Ultrasound Hury, Sexing scan Lartington, Gender scan Lartington, 16 week scan Lartington, 3D scan Lartington, 4D scan Lartington, 3D baby scan Lartington, 4D baby scan Lartington, Baby ultrasound scan Lartington, Baby scan Lartington, Pregnancy scan Lartington, Ultrasound Lartington, Sexing scan Ovington, Gender scan Ovington, 16 week scan Ovington, 3D scan Ovington, 4D scan Ovington, 3D baby scan Ovington, 4D baby scan Ovington, Baby ultrasound scan Ovington, Baby scan Ovington, Pregnancy scan Ovington, Ultrasound Ovington, Sexing scan Romaldkirk, Gender scan Romaldkirk , 16 week scan Romaldkirk , 3D scan Romaldkirk , 4D scan Romaldkirk , 3D baby scan Romaldkirk , 4D baby scan Romaldkirk , Baby ultrasound scan Romaldkirk , Baby scan Romaldkirk , Pregnancy scan Romaldkirk, Ultrasound Romaldkirk, Sexing Scan Startforth, Gender scan Startforth, 16 week scan Startforth, 3D scan Startforth, 4D scan Startforth, 3D baby scan Startforth, 4D baby scan Startforth, baby ultrasound scan Startforth, Baby scan Startforth, Pregnancy scan Startforth, Ultrasound Startforth, Sexing scan Scargill, Gender scan Scargill, 16 week scan Scargill, 3D scan Scargill, 4D scan Scargill, 3D baby scan Scargill, 4D baby scan Scargill, Baby ultrasound scan Scargill, Baby scan Scargill, Pregnancy scan Scargill, Ultrasound Scargill, Sexing scan Mickleton, Gender scan Mickleton, 16 week scan Mickleton, 3D scan Mickleton, 4D scan Mickleton, 3D baby scan Mickleton, 4D baby scan Mickleton, Baby ultrasound scan Mickleton, Baby scan Mickleton, Pregnancy scan Mickleton, Ultrasound Mickleton, Sexing scan Wycliffe, Gender scan Wycliffe, 16 week scan Wycliffe, 3D scan Wycliffe, 4D scan Wycliffe, 3D baby scan Wycliffe, 4D baby scan Wycliffe, Baby ultrasound scan Wycliffe, baby scan Wycliffe, Pregnancy scan Wycliffe, Ultrasound Wycliffe, Sexing scan Bearpark, Gender scan Bearpark, 16 week scan Bearpark, 3D scan Bearpark, 4D scan Bearpark, 3D baby scan Bearpark, 4D baby scan Bearpark, Baby ultrasound scan Bearpark, baby scan Bearpark, Pregnancy scan Bearpark, Ultrasound Bearpark, Sexing scan Bedburn, Gender scan Bedburn, 16 week scan Bedburn, 3D scan Bedburn, 4D scan Bedburn, 3D baby scan Bedburn, 4D baby scan Bedburn, Baby ultrasound scan Bedburn, Baby scan Bedburn, Pregnancy scan Bedburn, Ultrasound Bedburn, Sexing scan Belmont, Gender scan Belmont, 16 week scan Belmont, 3D scan Belmont, 4D scan Belmont, 3D baby scan Belmont, 4D baby scan Belmont, Baby ultrasound scan Belmont, Baby scan Belmont, Pregnancy scan Belmont, Ultrasound Belmont, Sexing scan Billy Row, Gender scan Billy Row, 16 week scan Billy Row, 3D scan Billy Row, 4D scan Billy Row, 3D baby scan Billy Row, 4D baby scan Billy Row, Baby ultrasound scan Billy Row, Baby scan Billy Row, Pregnancy scan Billy Row, Ultrasound Billy Row, Sexing scan Binchester, Gender scan Binchester, 16 week scan Binchester, 3D scan Binchester, 4D scan Binchester, 3D baby scan Binchester, 4D baby scan Binchester, Baby ultrasound scan Binchester, Baby scan Binchester, Pregnancy scan Binchester, Ultrasound Binchester, Sexing scan Bishopsgarth, Gender scan Bishopsgarth, 16 week scan Bishopsgarth, 3D scan Bishopsgarth, 4D scan Bishopsgarth, 3D baby scan Bishopsgarth, 4D baby scan Bishopsgarth, Baby ultrasound scan Bishopsgarth, Baby scan Bishopsgarth, Pregnancy scan Bishopsgarth, Ultrasound Bishopsgarth, Sexing scan Bishopton, Gender scan Bishopton, 16 week scan Bishopton, 3D scan Bishopton, 4D scan Bishopton, 3D baby scan Bishopton, 4D baby scan Bishopton, Baby ultrasound scan Bishopton, Baby scan Bishopton, Pregnancy scan Bishopton, Ultrasound Bishopton, Sexing scan Blackhall Rocks, Gender scan Blackhall Rocks, 16 week scan Blackhall Rocks, 3D scan Blackhall Rocks, 4D scan Blackhall Rocks, 3D baby scan Blackhall Rocks, 4D baby scan Blackhall Rocks, Baby ultrasound scan Blackhall Rocks, baby scan Blackhall Rocks, Pregnancy scan Blackhall Rocks, Ultrasound Blackhall Rocks, Sexing scan Blackwell, Gender scan Blackwell, 16 week scan Blackwell, 3D scan Blackwell, 4D scan Blackwell, 3D baby scan Blackwell, 4D baby scan Blackwell, Baby ultrasound scan Blackwell, Baby scan Blackwell, Pregnancy scan Blackwell, Ultrasound Blackwell, Sexing scan Bournmoor, Gender scan Bournmoor, 16 week scan Bournmoor, 3D scan Bournmoor, 4D scan Bournmoor, 3D baby scan Bournmoor, 4D baby scan Bournmoor, Baby ultrasound scan Bournmoor, Baby scan Bournmoor, Pregnancy scan Bournmoor, Ultrasound Bournmoor, Sexing scan Bowburn, Gender scan Bowburn, 16 week scan Bowburn, 3D scan Bowburn, 4D scan Bowburn, 3D baby scan Bowburn, 4D baby scan Bowburn, Baby ultrasound scan Bowburn, Baby scan Bowburn, Pregnancy scan Bowburn, Ultrasound Bowburn, Sexing scan Brafferton, Gender scan Brafferton, 16 week scan Brafferton, 3D scan Brafferton, 4D scan Brafferton, 3D baby scan Brafferton, 4D baby scan Brafferton, Baby ultrasound scan Brafferton, Baby scan Brafferton, Pregnancy scan Brafferton, Ultrasound Brafferton, Sexing scan Brandon, Gender scan Brandon, 16 week scan Brandon, 3D scan Brandon, 4D scan Brandon, 3D baby scan Brandon, 4D baby scan Brandon, Baby ultrasound scan Brandon, Baby scan Brandon, Pregnancy scan Brandon, Ultrasound Brandon, Sexing Scan Bridge End, Gender scan Bridge End, 16 week scan Bridge End, 3D scan Bridge End, 4D scan Bridge End, 3D baby scan Bridge End, 4D baby scan Bridge End, Baby ultrasound scan Bridge End, Baby scan Bridge End, Pregnancy scan Bridge End, Ultrasound Bridge End, Sexing scan Brierton, Gender scan Brierton, 16 week scan Brierton, 3D scan Brierton, 3D baby scan Brierton, 4D scan, 4D baby scan Brierton, Baby ultrasound scan Brierton, Baby scan Brierton, Pregnancy scan Brierton, Ultrasound Brierton, Sexing scan Broompark, Gender scan Broompark, 16 week scan Broompark, 3D scan Broompark, 4D scan Broompark, 3D baby scan Broompark, 4D baby scan Broompark, Baby ultrasound scan Broompark, Baby scan Broompark, Pregnancy scan Broompark, Ultrasound Broompark, Sexing scan Burnopfield, Gender scan Burnopfield, 16 week scan Burnopfield, 3D scan Burnopfield, 3D baby scan Burnopfield, 4D scan Burnopfield, 4D baby scan Burnopfield, Baby ultrasound scan Burnopfield, Baby scan Burnopfield, Pregnancy scan Burnopfield, Ultrasound Burnopfield, Sexing scan Byers Green, Gender scan Byers Green, 16 week scan Byers Green, 3D scan Byers Green, 4D scan Byers Green, 3D baby scan Byers Green, 4D baby scan Byers Green, Baby ultrasound scan Byers Green, Baby scan Byers Green, Pregnancy scan Byers Green, Ultrasound Byers Green, Sexing scan Daddry Shield, Gender scan Daddry Shield, 16 week scan Daddry Shield, 3D scan Daddry Shield, 4D scan Daddry Shield, 3D baby scan Daddry Shield, 4D baby scan Daddry Shield, Baby ultrasound scan Daddry Shield, Baby scan Daddry Shield, Pregnancy scan Daddry Shield, Ultrasound Daddry Shield, Sexing scan Dalton Piercy, Gender scan Dalton Piercy, 16 week scan Dalton Piercy, 3D scan Dalton Piercy, 3D baby scan Dalton Piercy, 4D baby scan Dalton Piercy, 4D scan Dalton Piercy, Baby ultrasound scan Dalton Piercy, Baby scan Dalton Piercy, Pregnancy scan Dalton Piercy, Ultrasound Dalton Piercy, Sexing scan Dawdon, Gender scan Dawdon, 16 week scan Dawdon, 3D scan Dawdon, 4D scan Dawdon, 3D baby scan Dawdon, 4D baby scan Dawdon, Baby ultrasound scan Dawdon, Baby scan Dawdon, Pregnancy scan Dawdon, Ultrasound Dawdon, Sexing Scan Deaf Hill, Gender scan Deaf Hill, 16 week scan Deaf Hill, 3D scan Deaf Hill, 4D scan Deaf Hill, 3D baby scan Deaf Hill, 4D baby scan Deaf Hill, Baby ultrasound scan Deaf Hill, baby scan Deaf Hill, pregnancy scan Deaf Hill, ultrasound Deaf Hill, Sexing scan Dean Bank, Gender scan Dean Bank, 3D scan Dean Bank, 4D scan Dean Bank, 16 week scan Dean Bank, 3D baby scan Dean Bank, 4D baby scan Dean Bank, Baby ultrasound scan Dean Bank, Baby scan Dean Bank, Pregnancy scan Dean Bank, Ultrasound Dean Bank, Sexing scan Deneside, Gender scan Deneside, 16 week scan Deneside, 3D scan Deneside, 3D baby scan Deneside, 4D scan Deneside, 4D baby scan Deneside, Baby ultrasound scan Deneside, Baby scan Deneside, Pregnancy scan Deneside, Ultrasound Deneside, Sexing scan Dent Bank, Gender scan Dent Bank, 16 week scan Dent Bank, 3D scan Dent Bank, 4D scan Dent Bank, 3D baby scan Dent Bank, 4D baby scan Dent Bank, Baby ultrasound scan Dent Bank, Baby scan Dent Bank, Pregnancy scan Dent Bank, Ultrasound Dent Bank, Sexing scan Denton, Gender scan Denton, 16 week scan Denton, 3D scan Denton, 4D scan Denton, 3D baby scan Denton, 4D baby scan Denton, Baby ultrasound scan Denton, Baby scan Denton, Pregnancy scan Denton, Ultrasound Denton, Sexing scan Kelloe, Gender scan Kelloe, 16 week scan Kelloe, 3D scan Kelloe, 3D baby scan Kelloe, 4D scan Kelloe, 4D baby scan Kelloe, Baby ultrasound scan Kelloe, Baby scan Kelloe, Pregnancy scan Kelloe, Ultrasound Kelloe, Sexing scan Kirk Merrington, Gender scan Kirk Merrington, 16 week scan Kirk Merrington, 3D scan Kirk Merrington, 4D scan Kirk Merrington, 3D baby scan Kirk Merrington, 4D baby scan Kirk Merrington, Baby ultrasound scan Kirk Merrington, baby scan Kirk Merrington, Pregnancy scan Kirk Merrington, Ultrasound Kirk Merrington, Sexing scan Urlay Nook, Gender scan Urlay Nook, 16 week scan Urlay Nook, 3D scan Urlay Nook, 3D baby scan Urlay Nook, 4D scan Urlay Nook, 4D baby scan Urlay Nook, Baby ultrasound scan Urlay Nook, Baby scan Urlay Nook, Pregnancy scan Urlay Nook, Ultrasound Urlay Nook, Sexing scan Carlbury, Gender scan Carlbury, 16 week scan Carlbury, 3D scan Carlbury, 4D scan Carlbury, 3D baby scan Carlbury, 4D baby scan Carlbury, baby ultrasound scan Carlbury, Baby scan Carlbury, Pregnancy scan Carlbury, Ultrasound Carlbury, Sexing scan Carlton, Gender scan Carlton, 16 week scan Carlton, 3D scan Carlton, 4D scan Carlton, 3D baby scan Carlton, 4D baby scan Carlton, Baby ultrasound scan Carlton, Pregnancy scan Carlton, baby scan Carlton, Ultrsound Carlton, Sexing scan Carrville, Gender scan Carrville, 16 week scan Carrville, 3D scan Carrville, 4D scan Carrville, 3D baby scan Carrville, 4D baby scan Carrville, baby ultrasound scan Carrville, Baby scan Carrville, Pregnancy scan Carrville, Ultrasound Carrville, Sexing scan Castleside, Gender scan Castleside, 16 week scan Castleside, 3D scan Castleside, 3D baby scan Castleside, 4D scan Castleside, 4D baby scan Castleside, Baby ultrasound scan Castleside, Baby scan Castleside, Pregnancy scan Castleside, Ultrasound Castleside, Sexing scan Causey, Gender scan Causey, 16 week scan Causey, 3D scan Causey, 4D scan Causey, 3D baby scan Causey, 4D baby scan Causey, Baby ultrasound scan Causey, baby scan Causey, Pregnancy scan Causey, Ultrasound Causey, Sexing scan Chester Moor, Gender scan Chester Moor, 16 week scan Chester Moor, 3D scan Chester Moor, 3D baby scan Chester Moor, 4D scan Chester Moor, 4D baby scan Chester Moor, Baby ultrasound scan Chester Moor, baby scan Chester Moor, Pregnancy scan Chester Moor, Ultrasound Chester Moor, Sexing scan Chilton, Gender scan Chester Moor, 16 week scan Chester Moor, 3D scan Chester Moor, 3D baby scan Chester Moor, 4D scan Chester Moor, 4D baby scan Chester Moor, Baby ultrasound scan Chester Moor, Baby scan Chester Moor, Pregnancy scan Chester Moor, Ultrasound Chester Moor, Sexing scan Iresburnhope, Gender scan Iresburnhope, 16 week scan Iresburnhope, 3D scan Iresburnhope, 4D scan Iresburnhope, 3D baby scan Iresburnhope, 4D baby scan Iresburnhope, Baby ultrasound scan Iresburnhope, Baby scan Iresburnhope, Pregnancy scan Iresburnhope, Ultrasound Iresburnhope, Sexing scan Toft Hill, Gender scan Toft Hill, 16 week scan Toft Hill, 3D scan Toft Hill, 3D baby scan Toft Hill, 4D scan Toft Hill, 4D baby scan Toft Hill, Baby ultrasound scan Toft Hill, Baby scan Toft Hill, Pregnancy scan Toft Hill, Ultrasound Toft Hill, Sexing scan Toronto, Gender scan Toronto, 16 week scan Toronto, 3D scan Toronto, 3D baby scan Toronto, 4D scan Toronto, 4D baby scan Toronto, Baby ultrasound scan Toronto, Baby scan Toronto, Pregnancy scan Toronto, Ultrasound Toronto, Sexing scan Trimdon, Gender scan Trimdon, 16 week scan Trimdon, 3D scan Trimdon, 3D baby scan Trimdon, 4D baby scan Trimdon, 4D scan Trimdon, Baby ultrasound scan Trimdon, baby scan Trimdon, Pregnancy scan Trimdon, Ultrasound Trimdon, Sexing scan Tindale Crescent, Gender scan Tindale Crescent, 16 week scan Tindale Crescent, 3D scan Tindale Crescent, 3D baby scan Tindale Crescent, 4D scan Tindale Crescent, 4D baby scan Tindale Crescent, Baby ultrasound scan Tindale Crescent, Baby scan Tindale Crescent, Pregnancy scan Tindale Crescent, Ultrasound Tindale Crescent, Sexing scan Todhills, Gender scan Todhills, 16 week scan Todhills, 3D scan Todhills, 4D scan Todhills, 3D baby scan Todhills, 4D baby scan Todhills, Baby ultrasound scan Todhills, baby scan Todhills, Pregnancy scan Todhills, Ultrasound Todhills, Sexing scan Townfield, Gender scan Townfield, 16 week scan Townfield, 3D scan Townfield, 4D scan Townfield, 3D baby scan Townfield, 4D baby scan Townfield, Baby ultrasound scan Townfield, Baby scan Townfield, Pregnancy scan Townfield, Ultrasound Townfield, Sexing scan Pelton Fell, Gender scan Pelton Fell, 16 week scan Pelton Fell, 3D scan Pelton Fell, 3D baby scan Pelton Fell, 4D scan Pelton Fell, 4D baby scan Pelton Fell, Sexing scan Phoenix Row, Gender scan Phoenix Row, 16 week scan Phoenix Row, 3D scan Phoenix Row, 4D scan Phoenix Row, 3D baby scan Phoenix Row, 4D baby scan Phoenix Row, Baby ultrasound scan Phoenix Row, Baby scan Phoenix Row, Pregnancy scan Phoenix Row, Ultrasound Phoenix Row, Sexing scan Pickering Nook, Gender scan Pickering Nook, 16 week scan Pickering Nook, 3D scan Pickering Nook, 4D scan Pickering Nook, 3D baby scan Pickering Nook, 4D baby scan Pickering Nook, Baby ultrasound scan Pickering Nook, Baby scan Pickering Nook, Pregnancy scan Pickering Nook, Ultrasound Pickering Nook, Sexing scan Piercebridge, Gender scan Piercebridge, 16 week scan Piercebridge, 3D scan Piercebridge, 4D scan Piercebridge, 3D baby scan Piercebridge, 4D baby scan Piercebridge, Baby ultrasound scan Piercebridge, Baby scan Piercebridge, Pregnancy scan Piercebridge, Ultrasound Piercebridge, Sexing scan Plawsworth, Gender scan Plawsworth, 16 week scan Plawsworth, 3D scan Plawsworth, 4D scan Plawsworth, 3D baby scan Plawsworth, 4D baby scan Plawsworth, Baby ultrasound scan Plawsworth, Baby scan Plawsworth, Pregnancy scan Plawsworth, Ultrasound Plawsworth, Sexing scan Cockerton, Gender scan Cockerton, 16 week scan Cockerton, 3D scan Cockerton, 4D scan Cockerton, 3D baby scan Cockerton, 4D baby scan Cockerton, Baby ultrasound scan Cockerton, Baby scan Cockerton, Pregnancy scan Cockerton, Ultrasound Cockerton, Sexing scan Cockfield, Gender scan Cockfield, 16 week scan Cockfield, 3D scan Cockfield, 3D baby scan Cockfield, 4D scan Cockfield, 4D baby scan Cockfield, Sexing scan Seaton Carew, Gender scan Seaton Carew, 16 week scan Seaton Carew, 3D scan Seaton Carew, 4D scan Seaton Carew, 3D baby scan Seaton Carew, 4D baby scan Seaton Carew, Baby ultrasound scan Seaton Carew, Baby scan Seaton Carew, Pregnancy scan Seaton Carew, Ultrasound Seaton Carew & More.